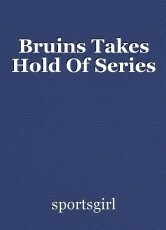 A recap of Game Four of the Bruin/Toronto playoff series. David Pastrnak got two assists last night. It wasn't the result Toronto Maple Leafs wanted last night as the Boston Bruins won 3-1. The Bruins just need a win to advance to the second round of the playoffs. Just 28 seconds into the game, Torey Krug scored to make it 1-0 Bruins. At 7:43 of the first period, Thomas Plekanec scored Toronto's lone goal of the game. At 16:55 of the second period, Brad Marchand put the Bruins ahead for good. Jake DeBrusk scored the reassuring goal at 4:17 of the third period. Boston's David Pastrnak had two assists in Game Four. Pastrnak's teammate, goalie, Tuukka Rask, stopped 31 shots last night. Game Five is on Saturday night at TD Garden in Boston. Preview: Yankees Verses Blue Jays Game Three. This page was created in 0.5985 seconds.